The Atlanta 1996 Paralympic Games, held 16-25 August, was the largest to date, with 3,259 athletes from 104 countries participating. 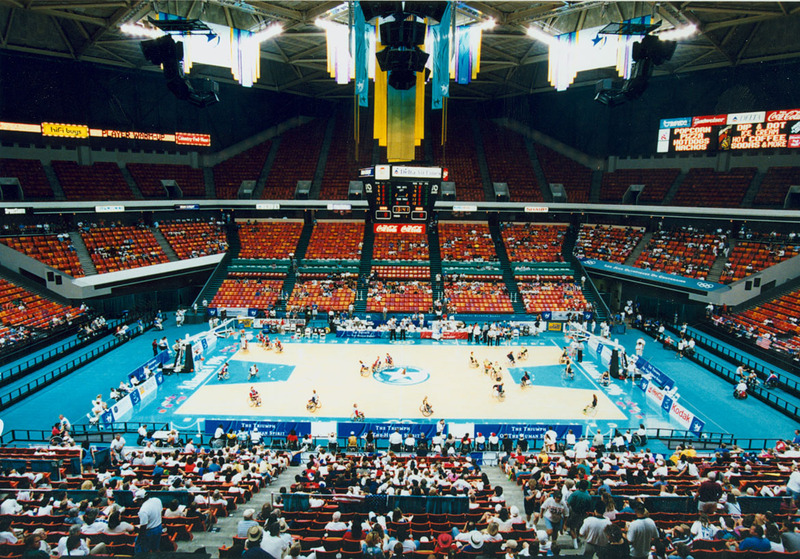 Events for athletes with intellectual disability were included in the program, unlike in 1992 where those athletes had a separate Games in Madrid after the Barcelona Games concluded. The Atlanta Games were notable because they pioneered features that have become integral elements of subsequent Paralympics, most notably a Cultural Paralympiad. The establishment of a corporate sponsorship program resulted in the effective privatisation of the Games. Organisational difficulties in Atlanta, together with inferior accommodation and venues for training and competition, convinced the IPC and the Sydney bid committee for 2000 that close integration of the Paralympics with the Olympics was necessary. Because the Games organisation was a separate company to that which had run the Olympics, there was minimal handover and athletes and spectators witnessed the gradual dismantling of venues and infrastructure as the Games progressed. Food shortages and transport problems added to the general feeling that the Paralympics were seen as very secondary to the Olympics.